For the general public, Instagram is a platform to document our lives through photos. But for others, it’s an invaluable tool to showcase creative work. There are all kinds of artists using Instagram as a portfolio to gain paid work and to connect with other artists. Instagram is the perfect intersection of entrepreneurship and artistic vision for people all over the world. Instagram offers certain creative challenges for artists and they’ve had to adapt to create work that both integrates into the platform’s layout but is also engaging enough to garner likes and comments that will boost it in the app’s algorithm. It changes the way artists concept their work because they need to take all of this into consideration. While some may feel that creating work in order for it to be successful on social media can hinder the creative process, or cause artists to produce inauthentic work, that isn’t the case. 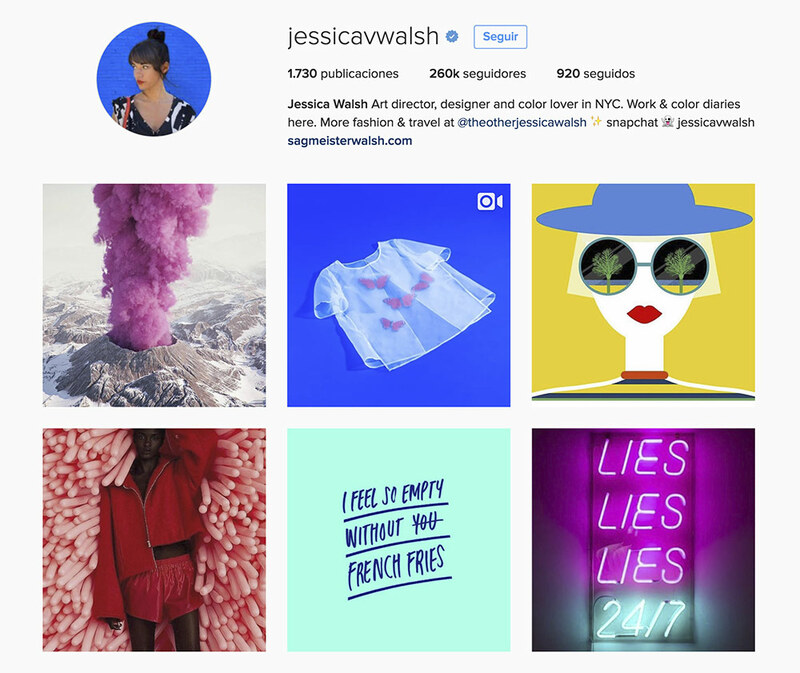 Artists use their Instagrams to cultivate their own personal aesthetics and learn what works and what doesn’t via engagement. Since Instagram is such a huge platform, it requires artists to create work that truly stands out amongst the flood of other new work hitting feeds literally every minute. Graphic designers can also use Instagram as a means of networking with other designers. There are popular accounts that highlight designers’ work, which brings more traffic to their pages, resulting in more followers. More followers mean more opportunities to be seen by potential employers. And employers love versatile artists. Which is exactly what so many of these designers are. Many practice photography, styling, and art direction in order to create new content. Take Jessica Walsh, for example. She’s a young designer who became a partner at Sagmeister & Walsh by the time she turned 25. In an article for AIGA’s Eye on Design magazine, Walsh describes how working for agencies with limited budgets forced her to use the photography, set design, and illustration skills she learned while at the Rhode Island School of Design. Her Instagram is the perfect culmination of her myriad skills. The colors are vibrant, her printed work displays prominently, and she uses models to create an entire scene based around her design. Thanks to social media, it is easier than ever for artists and designers to display their artwork. With a click of a button, artists can create an entire portfolio with which everyone in the world can see and interact. If you’re still doubting the effectiveness and the need for social media to promote yourself or your business, get with the times! Social media is absolutely the best way to get your work out there.